Lipopolysaccharide (LPS), found in the outer membrane of gram-negative bacteria, elicits a strong response from the transcription factor family Nuclear factor (NF)-κB via Toll-like receptor (TLR) 4. The cellular response to lipopolysaccharide varies depending on the source and preparation of the ligand, however. Our goal was to compare single-cell NF-κB dynamics across multiple sources and concentrations of LPS. Using live-cell fluorescence microscopy, we determined the NF-κB activation dynamics of hundreds of single cells expressing a p65-dsRed fusion protein. 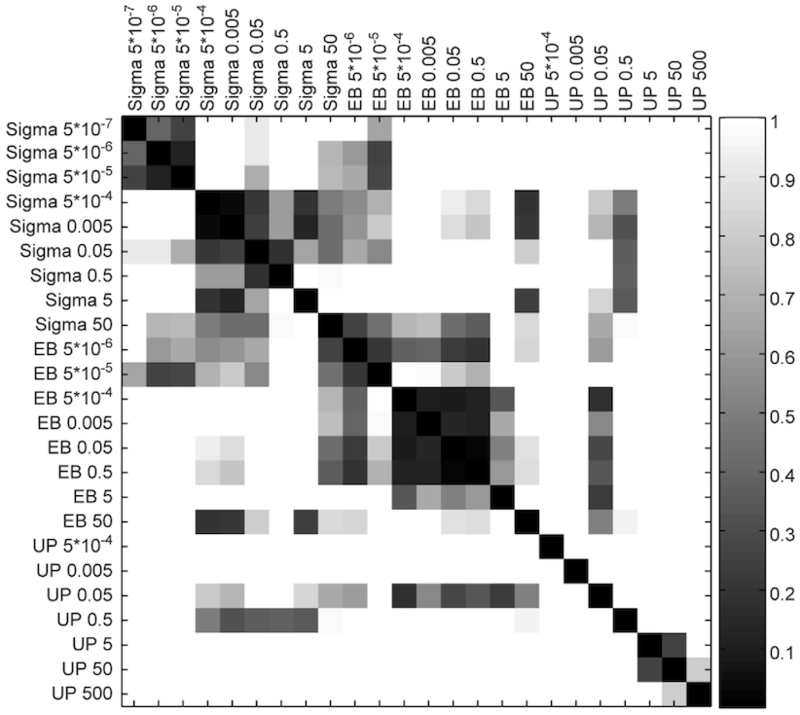 We used computational image analysis to measure the nuclear localization of the fusion protein in the cells over time. The concentration range spanned up to nine orders of magnitude for three E. coli LPS preparations. We find that the LPS preparations induce markedly different responses, even accounting for potency differences. We also find that the ability of soluble TNF receptor to affect NF-κB dynamics varies strikingly across the three preparations. Our work strongly suggests that the cellular response to LPS is highly sensitive to the source and preparation of the ligand. We therefore caution that conclusions drawn from experiments using one preparation may not be applicable to LPS in general.